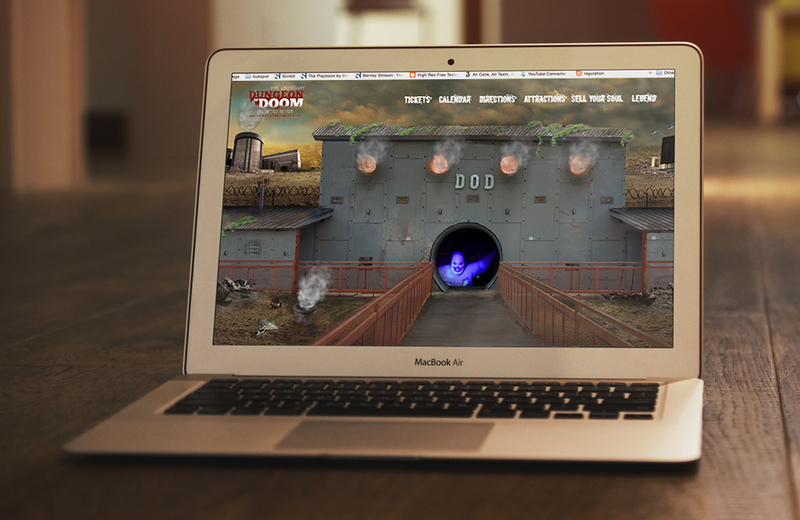 Dungeon Of Doom | Commit Marketing | A Full-Service Marketing, Web Design & Development Firm Located In Sarasota, FL. 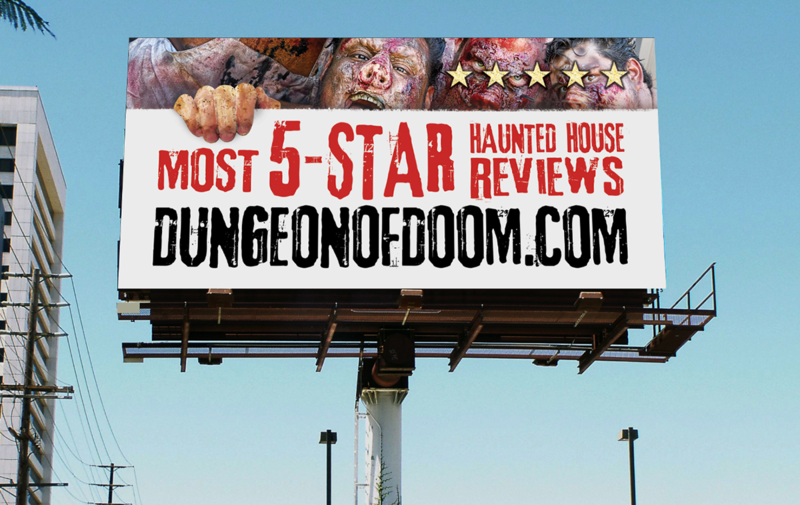 Since 1994, the Dungeon of Doom has been a leader in the Haunt Industry delivering Non-Stop Terror to souls in the greater Chicago-Milwaukee area. Our team at Commit continues to develop new graphics and an improved online experience that supports branding and communication efforts each Halloween season. Our approach has led to an on-going increase in online ticket sales. 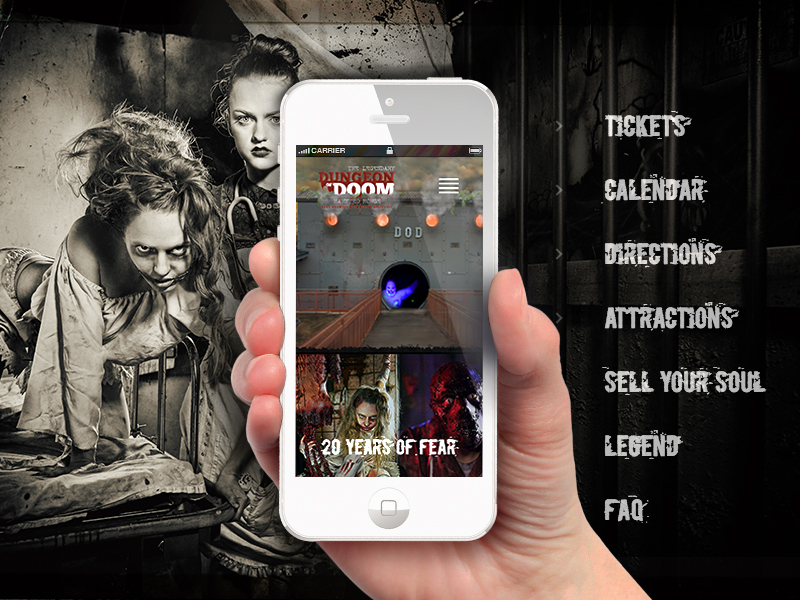 As we prepared and planned for the 2016 Haunt Season, the team at Commit designed and developed a unique online experience for the Dungeon Of Doom. Our goal was to present an intense experience from the moment you landed on the homepage. We incorporated and developed custom graphics that featured effects like rising smoke, video billboards, and animations that featured some of their most famous Killer Crew. This custom and easy-to-edit website was developed to allow for easy admin access for edits key content like ticket pricing, videos, blogs, images and more. As the demand and traffic grew mobile devices, our goal was to capture the breath and attention of their fan base. 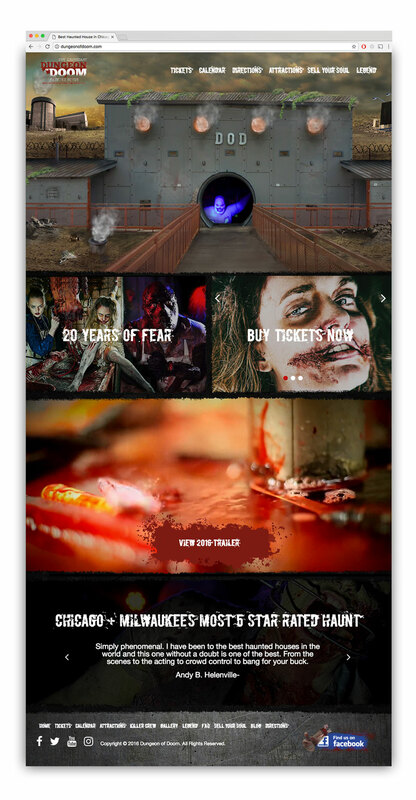 Careful attention was needed to make this website truly deliver the user-experience and overall look required for a haunted attraction. When you learn that more than 85% of website visitors are browsing on a mobile device, we knew our efforts would be truly appreciated in the end. Making smart decisions to improve the users experience, we reached our market to drive online ticket sales and social media engagement. 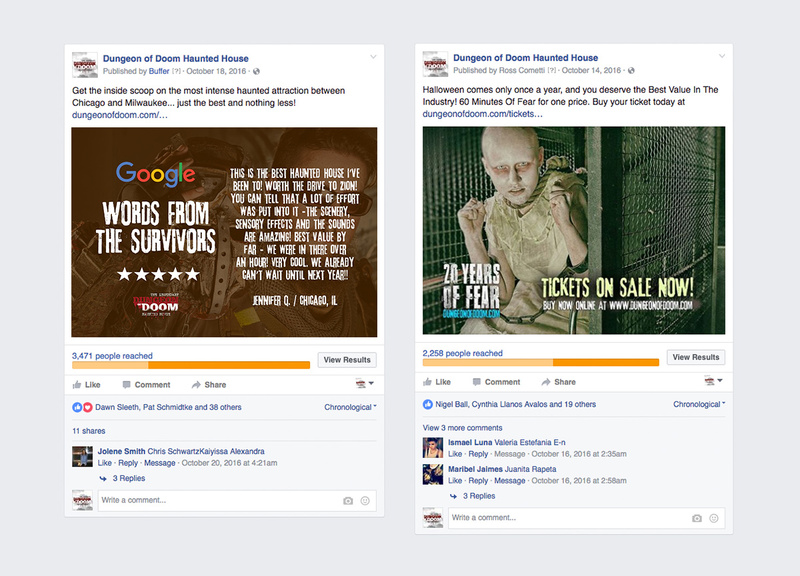 Commit worked along side the team at the Dungeon of Doom to plan, design and schedule social media posts. This effort included social network allocation, refreshed social media branding graphics, post scheduling, crafting unique content, call to actions, custom graphics and unique links that supported tracking efforts. Once we defined the message and look for the 2016 season, we designed a series of billboards for consideration. The final designs were placed throughout the Chicago, Milwaukee and surrounding areas.